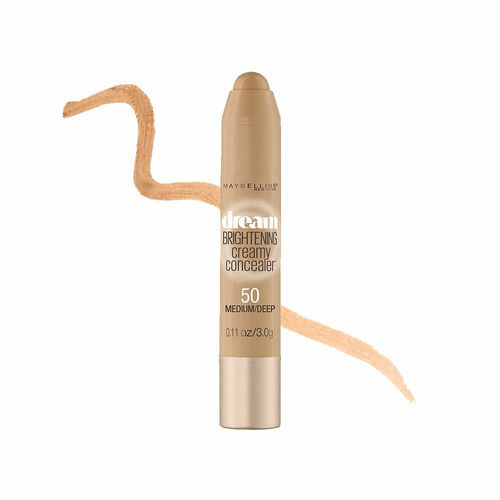 The Maybelline New York Dream Brightening Creamy Concealer delivers medium-to-full coverage for a luminous finish. Its cream-glide formula with light-reflecting pearls achieves brilliant bright-eyed perfection! About the Brand: A world renowned cosmetics brand, Maybelline New York is known for its scientifically-advanced makeup formulas, revolutionary textures and up-to-the minute, trendsetting beautiful makeup products that are affordable and make you look effortless and stunning. With Maybelline, it's all about empowering women to make a statement and explore new looks each day! Explore the entire range of Concealer available on Nykaa. Shop more Maybelline New York products here.You can browse through the complete world of Maybelline New York Concealer .Alternatively, you can also find many more products from the Maybelline New York Dream Bright Creamy Concealer range.